This is a fresh cut tree. Our expert staff deliver and pick up each tree. 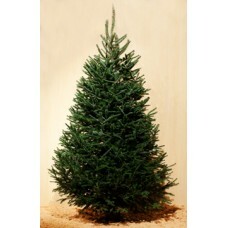 Canaan Fir is an aromatic tree with excellent shape. These trees are grown in the Fraser Valley. After Christmas these trees will be processed into biochar.